More than two and a half thousand people are expected to attend Charles Sturt University's (CSU) 2017 Wellness and Wellbeing Expos this month.The Expos are being held at CSU in Albury-Wodonga, Bathurst, Dubbo, Orange, Port Macquarie and Wagga Wagga from Tuesday 14 to 30 March.Organisers' Ms Lisa Tuineau and Ms Melissa Lombe said that through happier, healthier and more satisfied staff and students, the University hopes to foster a productive and resilient environment. 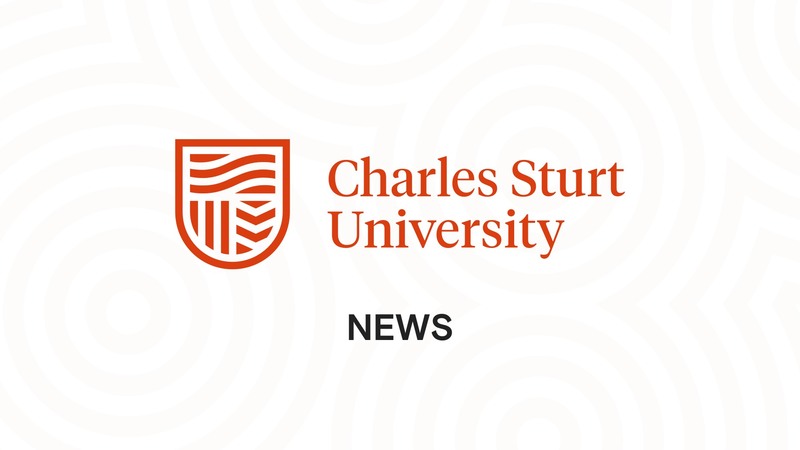 "Charles Sturt University recognises and values the importance of staff and student wellness and wellbeing and aims to adopt a holistic approach to the treatment of workplace health and safety," Ms Tuineau said. "Workplace research shows that problems of a personal nature can and do have adverse effects on work performance, work satisfaction, study, health and feelings of wellbeing. "The Expos will give attendees the opportunity to obtain information on numerous health and wellbeing services offered to them by CSU as well as other service providers in local communities.Information available at the Expos includes mental health; diabetes; physical activity; financial stability; security; literacy and superannuation; student services and support; student study skills support; stress management and prevention; caring for the elderly; alcohol and drug awareness; relationships; time management and lifestyle balance; nutrition and fitness; women's and men's health and smoking cessation.The event also includes hearing checks, free massages and flu vaccinations.The health and wellbeing of staff and students at CSU has received a boost with sponsorship from Gallagher, Employers Mutual, G&C Mutual Bank, UniSuper and nlc. The 2016 scholarship ceremonies at Charles Sturt University (CSU) in Bathurst, Orange and Dubbo will honour the memory and generosity of two passionate advocates for regional higher education.The annual ceremonies celebrate the academic achievements and endeavours of current students enrolled in arts, business, education, and science courses at CSU.This year the events have special significance as CSU Foundation Trust welcomes the receipt of a bequest of over $3 million from Carole and Stan Droder. They will be joined by other local businesses and organisations in presenting scholarships to deserving students to assist them in their studies.The ceremonies will be held at CSU in Dubbo at 6pm Tuesday 24 May; at CSU in Orange at 10am Wednesday 25 May; and at CSU in Bathurst at 11.30am Friday 27 May.CSU Foundation administers over 300 scholarships annually, and in 2016 more than $1.2 million in scholarships will be awarded across all CSU campuses to help students reach their full potential.The Foundation recognises that by giving rural and regional students in Australia fair access to higher education, CSU can develop professionals who have experience in regional areas and further afield, which will help them to maintain and develop healthy local economies and vibrant communities. Grants of up to $1,000 are now available to support regional arts and culture initiatives through Charles Sturt University's (CSU) Community-University Partnerships (CUP) Community Grants program.CSU's CUP Rural and Regional Arts and Culture Program is open for applications from Tuesday 1 March until Thursday 31 March 2016.The small grants program supports regional arts and culture programs including artists in residence, art shows, musical education, talks and lectures, and related activities that encourage engagement by younger people in artistic endeavours.Previous organisations and projects that have been recipients of a CSU CUP Rural and Regional Arts and Culture Program grant include primary schools hosting local artists, unique art exhibitions, development of art education kits, student film festivals, art and creative writing workshops, dance groups and a music for all school program.Registered community organisations may apply for a grant under this round. Applications should demonstrate how the activity will support student engagement with learning and further education. Estimated funding for the CUP Rural and Regional Arts and Culture Program is up to $25,000 across all CSU campus communities. Guidelines and the online application are available from the CSU website. Charles Sturt University (CSU) study advisers will visit cities and towns across Australia in the coming weeks to provide in-person assistance to its online students.CSU Outreach team manager Mr Peter Greening (pictured) said, "The University's outreach visits are free for current Charles Sturt University students studying online, and are designed to assist them to be successful in their studies. We hold both group and one-to-one sessions with students to provide advice and guidance about online learning, orientation to the University, effective reading skills, note taking, time management, and assignment writing. "Student liasion officers Ms Diane Middleton, Ms Lois Watt and Ms Amisha Gaundar from the Outreach Team will visit towns from Monday 8 February until Wednesday 23 March. The full schedule of towns and visit dates can be found on the CSU Outreach Team website, and to book a place at an event, students are asked to please register on http://bit.ly/csu-outreach or email deoutreach@csu.edu.au. The Charles Sturt University (CSU) Outreach team advisers will be at the University's main campuses next week to help distance education students get the most from their CSU experience. The advisers will be available on specific dates from Monday 23 to Friday 27 February at CSU campuses in Albury-Wodonga, Bathurst, Dubbo, Orange and Wagga Wagga. Manager of the CSU Outreach team, Mr James Brann, said, "The University's outreach visits are free for current Charles Sturt University distance education students, and are designed to assist them to be successful in their studies. We hold both group and one-to-one sessions with students to provide advice and guidance about online learning, orientation to CSU, effective reading skills, note taking, time management, and assignment writing." The schedule for CSU Outreach adviser availability is:Albury-Wodonga: Student liasion officer Ms Lois Watt from the Team will be available at CSU in Albury-Wodonga on Monday 23, Tuesday 24, and Wednesday 25 February. To book a place in Albury, students are asked to please register here (scroll down to Albury).Bathurst: Mr James Brann will host sessions at CSU in Bathurst on Tuesday 24 February. To book a place in Bathurst students are asked to please register here.Dubbo: Student liasion officer Ms Emma Gersbach will be available at CSU in Dubbo on Monday 23, Tuesday 24 and Wednesday 25 February. To book a place in Dubbo students are asked to register here (scroll down to Dubbo).Orange: Mr James Brann will host sessions on Friday 27 February. To book a place in Orange students, please register here.Wagga Wagga: Student liasion officer Ms Diane Middleton will be available on Tuesday 24 to Thursday 26 February. To book a place in Wagga Wagga, students are asked to please register here (scroll down to Wagga Wagga). The Education For Practice Institute (EFPI) at Charles Sturt University (CSU) will host the fourth international Practice-Based Education (PBE) Summit at Sydney Olympic Park on Wednesday 9 and Thursday 10 April. Academics from North America, Europe, Asia, the Middle East, New Zealand and Australia will consider and debate higher education issues under the theme, 'The promises of university education: Blending, including and integrating for future practice'. The Summit consists of keynote addresses, plenary and panel sessions and research presentations. Summit chair, Associate Professor Franziska Trede, said, "The unique contribution that the Summit makes to professional education and practice-based education is that it addresses contemporary philosophical, theoretical and practical issues and brings together researchers, lecturers and managers to robustly debate challenges and opportunities to enhance the future of university education." CSU Pro Vice-Chancellor (Student Learning) Professor Sandra Wills will deliver the opening address, and CSU Vice-Chancellor Professor Andrew Vann will deliver the closing address. Charles Sturt University's (CSU) 2009 Reserve Sparkling has ended 2013 on a high by winning yet another award. It has won a Gold Medal in the Sparkling Wine Class at the Sydney International Wine Challenge in December. The wine won the Best Sparkling Trophy and Gold Medal at the 2013 Boutique Wine Awards in September and the Best Sparkling Trophy at the 2013 Cowra Wine Show in August. The 70 per cent Pinot Noir, 30 per cent Chardonnay blend is bottle fermented in the traditional method and made from fruit grown in the cool climate of Tumbarumba. Read more about the award-winning sparkling here. The 2009 Reserve Sparkling is available from the CSU Winery Cellar Doors at Orange and Wagga Wagga or online here. You can reach the University's Cellar Doors here.